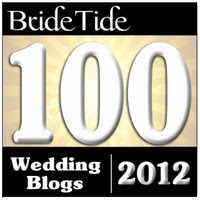 Relentless Bride® Weddings, Wedding Planning, Life & Marriage: Dude, it's a blog hop!! Dude, it's a blog hop!! One of my new fave blogs is Nini Says and it's on her blog that I joined my first Blog Hop... so Hop on in and join the fun!! 1. Where did you meet your spouse and did you instantly know it was love? 2. What is your favorite room in your house? Well since we live in a 1 bdrm condo, I'd have to say my whole condo b/c its not very big LOL. 3. Can you wiggle your ears? 4. What is your evening ritual? 5. How many hours of sleep do you need to function? You so rock!!! I love your blog too!!! Aren't blog hops fun! Ooops, You forgot to grab the questionnaire. Oh Amy! 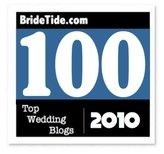 I'm just catching up on your wedding posts and blog, and it looks like you had an amazing day! Sigh! Even though I've been married for over a year, I can't get enough of wedding photos. You looked gorgeous! And now you're moving forward with starting a family. I wish you all the best, and hope you become a mommy real soon!